I have tattoos and think that when chosen thoughtfully they can be quite meaningful. I don’t imagine ever being in a position where I would regret them or feel that I need to have them covered or removed. 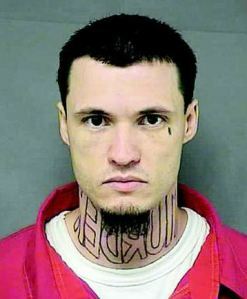 Then again I didn’t get a large tattoo on my neck that says “Murder” that I think may influence a jury during my trial – for murder. None of mine say murder either, I guess I was keeping my options open should I ever need to stand trial.